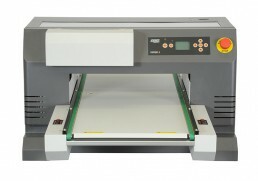 The Viper2 is the most efficient DTG printer in its class! This DTG printer is designed from the ground up to offer higher speed prints with acute accuracy, utilising precise engineering solutions that are unrivalled in the industry, and most importantly white ink reliability. 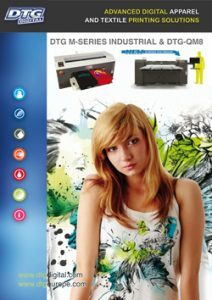 You can count on this printer to grow your short-run apparel decoration business. The Viper 2 one inch wide, high performance piezoelectric print head has 180 nozzles per channel with an ink repelling coating that’s now standard on all DTG garment printers. 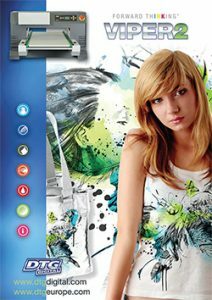 The all new 8 channel piezoelectric print head utilizes a constant re-circulation and pressurization ink system and is capable of handling 8 colours – 4 channels of white plus CMYK. 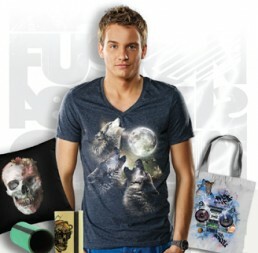 The Viper 2 DTG Printer has less clogging and ink starvation due to its adjustable pressure manifold coupled with a pressure release damper/filter throughout the entire ink path which results in superior prints with outstanding colour vibrancy. Contact us via email or phone, or feel free to chat on-line if you have any questions!